How To Save Images When Right Click Is Disabled In Chrome:- When your spends hours in searching for a perfect wallpaper that suits you and finally you find that picture but then you finds out that you can’t save it to your PC as right-click feature is disabled for that website. That’s the most frustrating part! So what is the solution? Well there are many workarounds for every problem that you can encounter in your browsing session. If they don’t allow you to save a picture by right clicking on it, then you can save it using another ways also. Taking screenshot by printScreen doesn’t sound like a great option to me. The picture quality gets compromised by a great deal in doing that. When you can have the best then why go for anything less? Continue reading the article to learn all about this super cool trick. § Open the website from where you want to save the image. Now right click on an empty space there (if right click is enabled). Click on Inspect option (or Press F12 key if right click is disabled). Another way to open the Developer Tools window is pressing the keys Ctrl+Shift+I together. 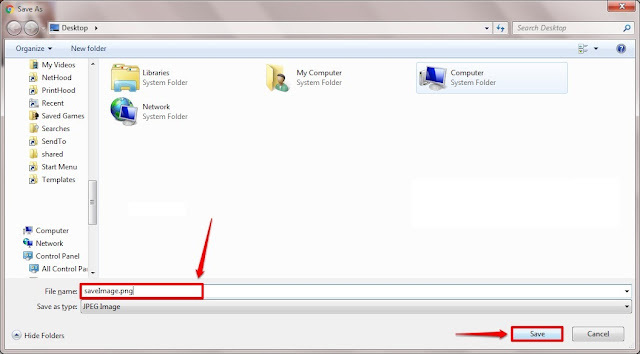 § At the left window pane, Click on the left arrow associated with folder named Frames to expand it. 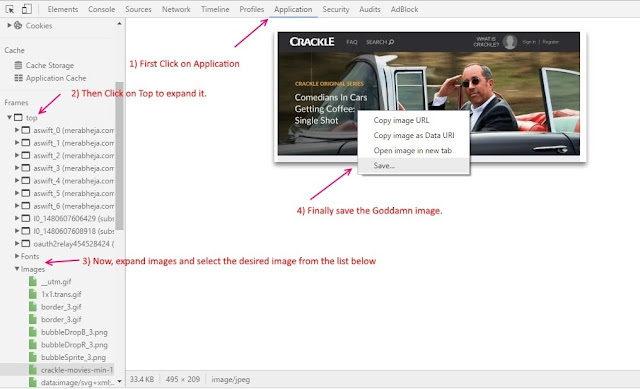 Then expand the site from the list of site that opens, from where you want to save the image. Finally, expand the folder named Images. For better understanding, refer to the following screenshot. § Under the Images folder, find the image that you want to download. Upon clicking on the image, an enlarged version of it will be shown in the right window pane. § Right click on the image and click on Save As. Now browse for the location where you want to save your image and hit Save button at the bottom. This way no one can stop you from downloading your favourite pictures from any of the websites anymore. Hope you had fun reading the article if any query leave us a comment below.